Just because you can’t find me and our cheese at market right now doesn’t mean you can’t pick up plenty of local goods. 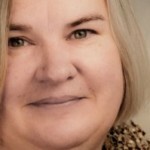 Whether you’re participating in the 10-Day Local Food Challenge with Vicki Robin, supporting your local community, or interested in obtaining the freshest produce possible, Bayview Market and Coupeville Market are still open for this plentiful season. 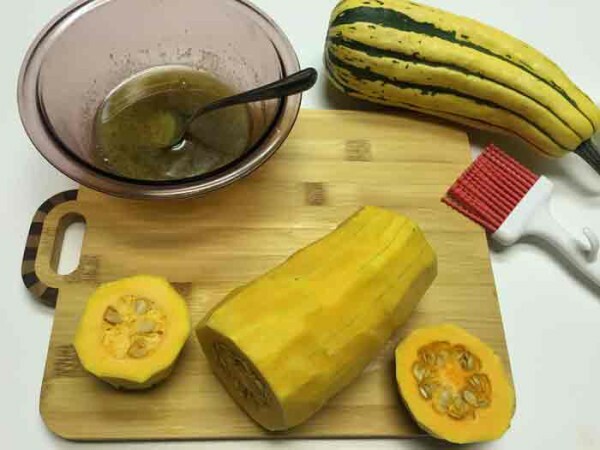 If you’re unsure what to do with all the bounty try my favorite, simple recipe for delicata squash. Delicata is a delightful squash, not stringy like acorn squash and quite mild. The skin is edible and thin enough that many chefs don’t even remove it in preparation (it’s delicious in a stir fry or roasted with sausage too). However, for my sweet tooth I love delicata donuts. For the donuts I prefer to remove the skin. The recipe is so easy, I think if you try it and see how delicious it is I’m likely to see you while I’m shopping at market on Saturday. Just save a few squash for me! 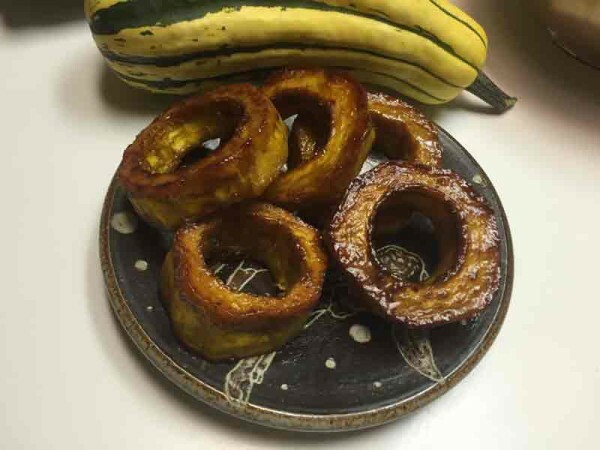 To make the delicate donuts use a sharp knife or a peeler and peel the skin off a squash. 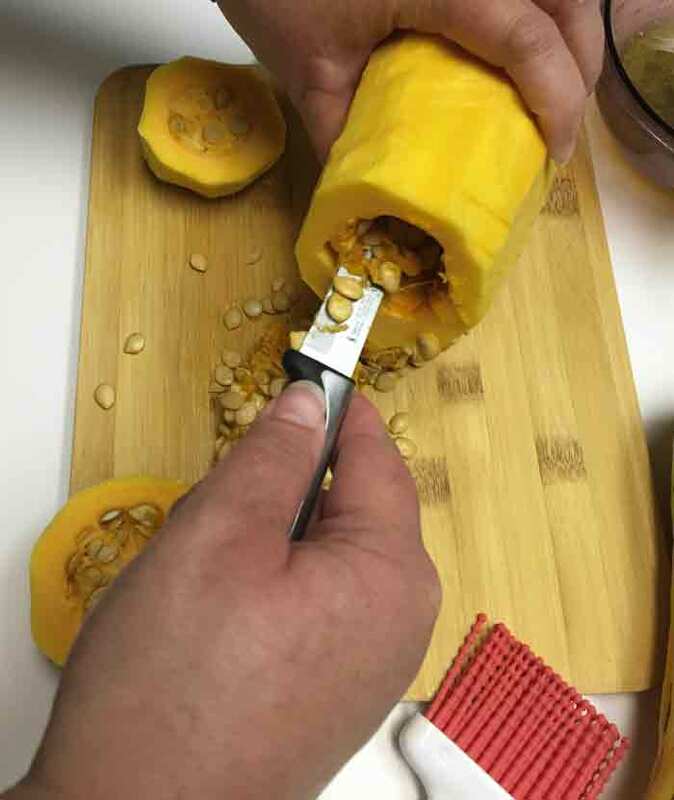 Cut off both ends and use a long knife to clean out the seeds. Cut the squash into ½” or larger rings. Place the rings on parchment paper on a cookie sheet. 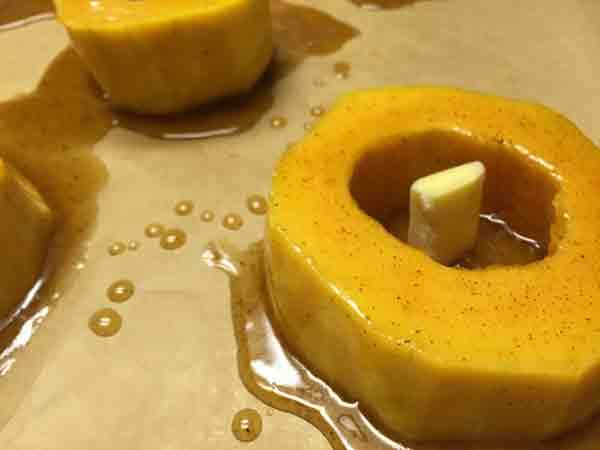 Drizzle the honey mixture over the rings and place them in the oven at 375F until they pierce easily with a fork (about 25 minutes depending on how thick the squash is). Add a chunk of butter in the center of the ring for optimum “frying” of these little donuts. Let the rings cool and serve for dessert. A scoop of ice cream would make these decadent rings an even more perfect end to a bountiful local meal. 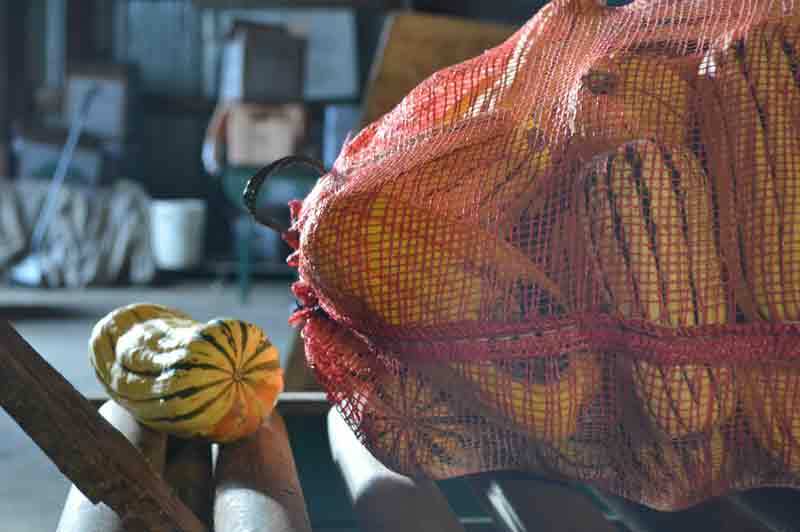 Delicata last a long time if stored properly (ask your farmer for hints), don’t forget to pick up some for your holiday meals and to treat yourself through winter.